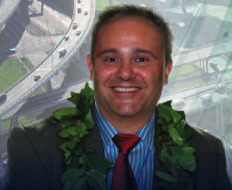 Civil Engineering Professor Panos D. Prevedouros, PhD discusses his opinions on infrastructure issues with emphasis on the City and County of Honolulu. He also takes issue with some of the grades given by the ASCE. “I believe some categories were doing even better than what is stated, and some others are probably worse,” he said.